This stunning "Blacked Out" double edge safety razor will quickly become the best part of your shaving routine. 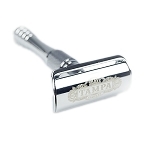 The brass razor feels heavy in your hand, which allows you to feel more control of your shave. 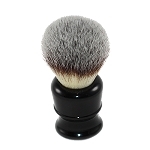 The textured handle provides a better grip than other inferior razors. 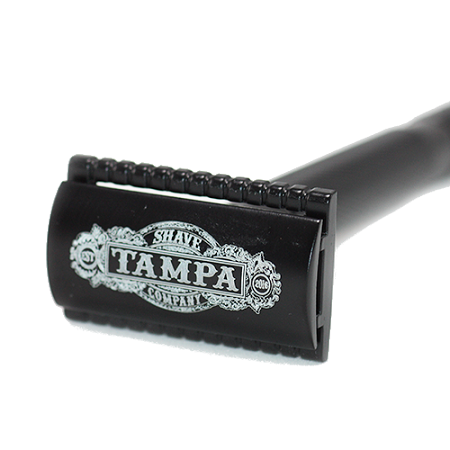 This limited edition razor features a detailed laser engraved Tampa Shave Company logo, which is sure to impress your friends. 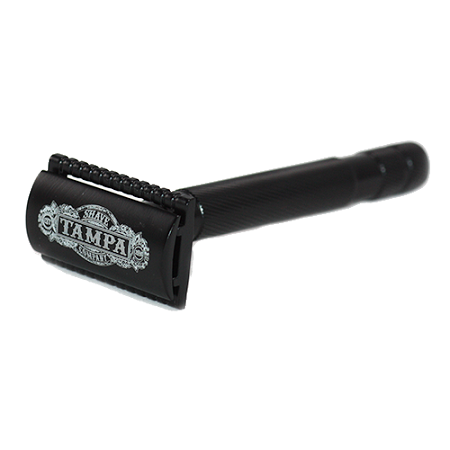 I really like The Blacked Out Razor from Tampa Shave Company. 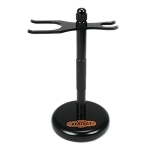 The solid brass handle adds a lot to the weight, the feel, and the quality of this razor. This would be a good daily driver for anyone because this razor is not too mild or too aggressive. Also, the logo is laser engraved so you don't have to worry about it wearing off. Fantastic razor! Tolerances are fairly tight, well made/HEFTY, and it's on the aggressive end of the spectrum. For reference, it was a little less aggressive than my ATT H1- lots of blade feel on this guy. I got a BBS shave in three passes. 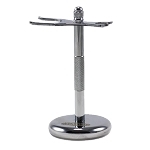 The knurling is stellar, and I don't think I'll ever accidentally drop it. My only quibble is that the black coating on mine is a little inconsistent in a few spots, which for me is almost a non-issue since it performs so well! 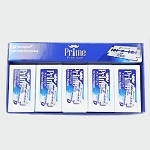 For fifty dollars, this razor is well worth the cost- buy with confidence!